No matter whether you are a keen boxer or a mixed martial arts enthusiast, you are advised to wear gloves. 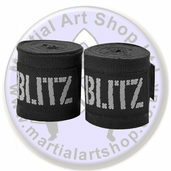 You'll find that there a good selection of pairs to choose from in our Martial Arts Shop. 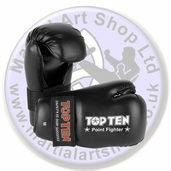 We sell branded boxing gloves which may be used for sparring and competitive bouts. 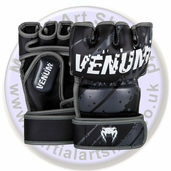 You might also be interested in the grappling gloves we offer, which have been highly recommended by leading MMA experts. Our martial arts gloves have been made from hardwearing materials. They have been designed for the purpose of protecting you and (maybe more importantly!) any opponents that you face. We offer sparring gloves as an aid to instructors. We also sell cotton handwraps and bag gloves, which will play an important role in the prevention of injury during intense training sessions. 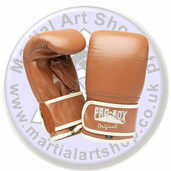 Our martial arts gloves come in a variety of sizes and colours to suit your specific requirements. They are priced at a competitive level for amateurs and professionals alike. If you're interested in these martial arts products then you should take the time to look around our online store. Purchase a pair today and enjoy the dual benefits of increased confidence and protection.